Don comes to Multop Financial with an extensive background in technical tax work that he has developed over the past 48 years. 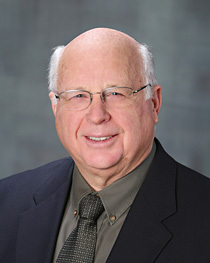 Don received a Master’s Degree in Business Administration of Taxation in 1976 and a Master’s Degree of Public Administration in 1978, both from Golden Gate University. His experience includes positions as a seasonal Tax Manager at Deloitte & Touche and the National Tax Director at Kaiser Permanente as well as tax and finance positions within other privately held businesses. Don also owned his own CPA & tax practice in California. Don brings a clear understanding of individual and business tax issues to our clients as he works alongside Phil and Michael during tax season. His experience as an IRS Revenue Agent is a great asset when it comes to knowing the ins and outs of IRS compliance and filing. Don’s professional, organized and pleasant demeanor is welcomed at Multop Financial and we are excited to have him as part of our team. If you would like some additional tax consulting, feel free to contact Don with our Contact Form.